The articles in this section cover topics ranging from common resume blunders to understanding hiring managers' criteria. Dialing into online information services from your computer has become almost commonplace and demand for useful information online is way up and growing rapidly. There's a new technology that could help you find your next job. It's called electronic applicant tracking, and it's being used by leading businesses and organizations. Do On-Line Services Work While Looking For Jobs? Then, of course, there is the Internet-the fastest-growing international on-line information system of all. The Internet is quickly evolving into online cosmos: important general business tool. In response to the Internet s mushrooming applied, all of the major on-line services are scrambling to provide access (particularly to the World Wide Web). Letters are powerful, useful tools in your job search. To work well, however, they need to be well written and look professional, matching your resume. They must also have correct spelling, punctuation, and grammar, present your ideas well and clearly, be in the proper format, and accurately show names, addresses, and titles. Computer listings of job openings are the logical flipside to resume databases. Online job postings can be searched by function, industry, location or a combination of these parameters. Newcomers to any field must contend with the dilemma that bedevils all entry-level candidates how do you get hired in a business world that wants experienced people? Many people find themselves in this position: recent high school and college graduates, foreign born immigrants with no local experience, and those returning to the workforce after long sabbaticals. Your own individually prepared letters will be most effective for displaying your capabilities. However, not everyone feels comfortable writing such potentially important letters. Also, you may need to get the letter out quickly and wish to minimize the time required to compose your own letters. 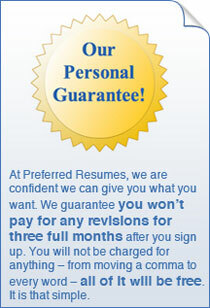 "After trying to revise my resume five times myself, I decided to sign up with a professional resume writing company. I am so glad I picked you. Your writers were a pleasure to work with, and they gave me so many useful tips. I am going to start mailing out my resume over the weekend. Keep your fingers crossed for me!" "Thank you so much for your hard work; everything looks great! I appreciate your quick response."